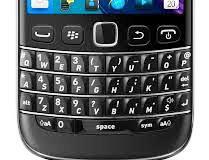 Blackberry has just announced BlackBerry 9720. Specifically made for business and social purposes, BlackBerry 9720 is set to be released first in selected carriers and retailers in Asia, followed by EMEA and Latin America. While price and availability is yet to be announced, BlackBerry will surely target customers worldwide, since BlackBerry 9720 is not that powerful, hence it will not be that much expensive, lack of power will be countered with feature pack social and exclusive BlackBerry services. Such feature includes, the BlackBerry OS 7.1, BBM, Built-in FM radio, Multicast to Make Yourself Heard in an Instant, and BlackBerry Enterprise Server or Enterprise Server Express. Lates BlackBerry OS 7.1 - The stage has been set, expect more enhancement, swipe to unlock feature. And many more after some dudes out there will try this out. Built-in FM - Carry your radio anywhere, while your friend comes along with the tune and listen to the same song altogether. Fast messaging and Social engagement - With BlackBerry OS 7.1 fully integrated to BlackBerry 9720, post Facebook status, and tweet, and message BBM friends instantly, share picture to social networks using only the camera app without the need of third party apps like Instagram. BBM - Chat using your WiFi for free, since that would be on a limited range. BBM will also include a dedicated key for your social needs, everything will be fast using one key, the BBM key. BlackBerry Enterprise Server - As I've said, BlackBerry 9720 will also be featured for business, presenting "BlackBerry Enterprise Server", suitable for business productivity, application management and security. 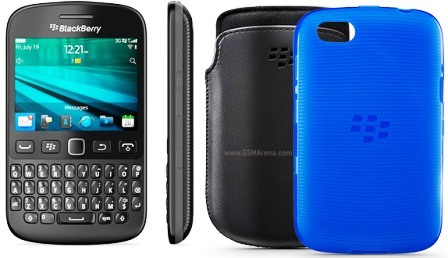 While Price is still unknown as of this moment, BlackBerry 9720 is set to be released first in Asia, Latin America, and other target markets. Maybe in due time, it will be released worldwide. Stay tuned for more BlackBerry 9720 news!